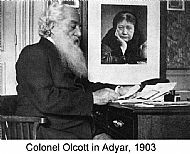 In 1884 Colonel Henry Steele Olcott, the first president of the Theosophical Society, visited Scotland. He found capable and earnest students there, ready to form a Lodge of the Theosophical Society. This was simply known as the Scottish Lodge, located in Edinburgh. Robert M. Cameron was its President but it was actually a Secret Lodge. However, some of its transactions are to be found in the Edinburgh Theosophical Society library. 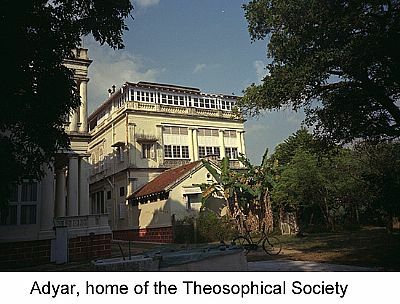 A letter from a member, now deceased, states that its lodge eventually broke away from the Theosophical Society; Olcott did not wish it to remain a Secret Lodge and asked that more publicity be given to its meetings. So, from this parent Lodge another one came into existence, with some of the original members joining new ones. Thus, in 1893, the Edinburgh Lodge was Chartered (the Centenary was celebrated at a 1993 Christmas Gathering). In 1910 Scotland was chartered as a National Section. The first General Secretary was Mr A. Graham Pole. In 1911 28 Great King Street was purchased for the National Society and became the Headquarters building. It had a caretaker, living quarters for visiting speakers and/or General Secretary, plus rooms for the Library, lectures and Theosophical Society office work. 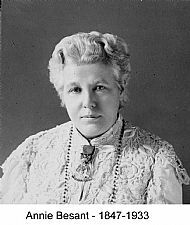 In 1911 Annie Besant visited Edinburgh and Presided over the first National Convention. Before doing so she toured other Scottish Lodges with her entourage. As a result, two more lodges were formed in 1911 - the Annie Besant Lodge (Glasgow) and Perth Lodge. After the Convention, Mrs Besant visited Forfar to try to foster some interest there, before her final appearance in Glasgow. In 1951 there were twenty Lodges in Scotland. Many of these slowly dissolved during the next two decades as members passed on or left the area, leaving insufficient young people to carry on the work. 1982 saw three newly-chartered Lodges in Edinburgh; now only two remain as the third (Orpheus, an Arts Lodge) was disbanded after a few years. Orient (an Astrological Lodge) has links with the Scottish Astrology Group but the lodge now has very few members. Similarly, Blavatsky (a science Lodge) is very small, but it is anticipated that the numbers will increase again in the foreseeable future and new research work is at the planning stage. Aberdeen also remains a very small lodge. In December, 1983 the General Council Adyar decided that the General Secretary should be replaced by a Presidential Representative and the Section charter was withdrawn. In March 1984, a Presidential Representative was appointed by Adyar. A letter was sent to all members of the Theosophical Society in Scotland regarding this appointment. In September 1984 a letter form the President of the Theosophical Society, Radha Burnier, authorised the formation of an Interim Presidential Agency Committee to assist the Presidential Representative in the work. The letter further stated that there should be two representatives from Edinburgh, two from Glasgow and Alan Senior, who could help in various ways. Edinburgh and Glasgow could choose their own representatives. Letters were sent to the Lodge Presidents/Secretaries and Glasgow and Edinburgh chose their representatives. The Theosophical Society is the parent body. All charters and all Diplomas of membership derive their authority from the International President. In 1994 two new Lodges were Chartered at Inverness and Dundee; there are now enough members in Perthshire for another Lodge to be Chartered. All Lodges and unattached members in Scotland are part of the Theosophical Society in Scotland. The Theosophical Society in Scotland remains extant similar to the Theosophical Society in Wales, even though it is now a Regional Association instead of a National Section. The General Council will decide when Scotland’s National Section Charter will be revived. Footnote: A presence at the International Exposition held at Bellahouston Park from May to December in 1938. The exhibition marked fifty years since Glasgow's first great exhibition, the International Exhibition of 1888 which was held in Kelvingrove Park. It also offered a chance to boost the economy of Scotland which was recovering from the depression of the 1930's. Despite being one of the wettest summers on record, the Exhibition attracted twelve million visitors.